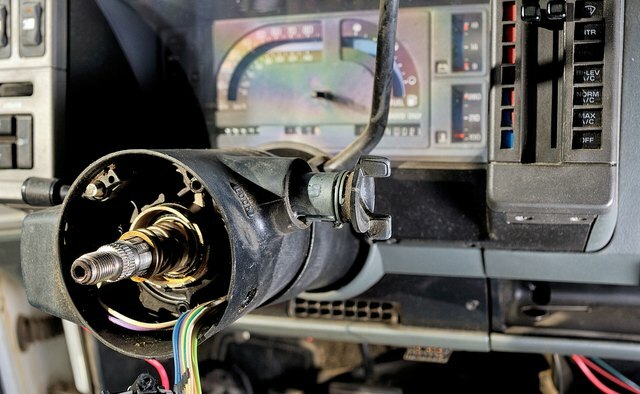 Every time you get into your S-10 pickup and put the key in the ignition, you're making a mechanical connection that connects two electrical points to begin the starting process. 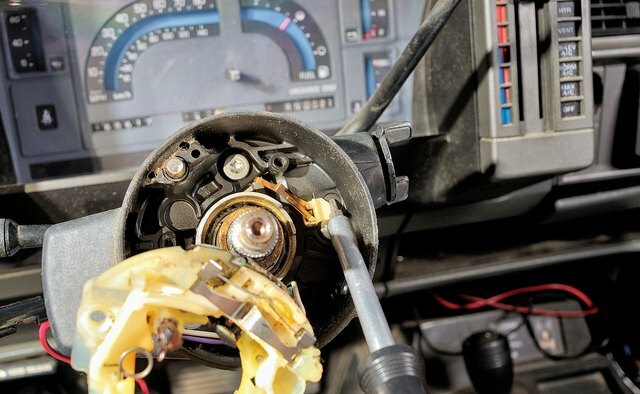 Over time, those contacts and movements wear out, and the ignition switch will have to be replaced. This can be a bit frustrating because the connections are awkward at times, but it can be done at home. 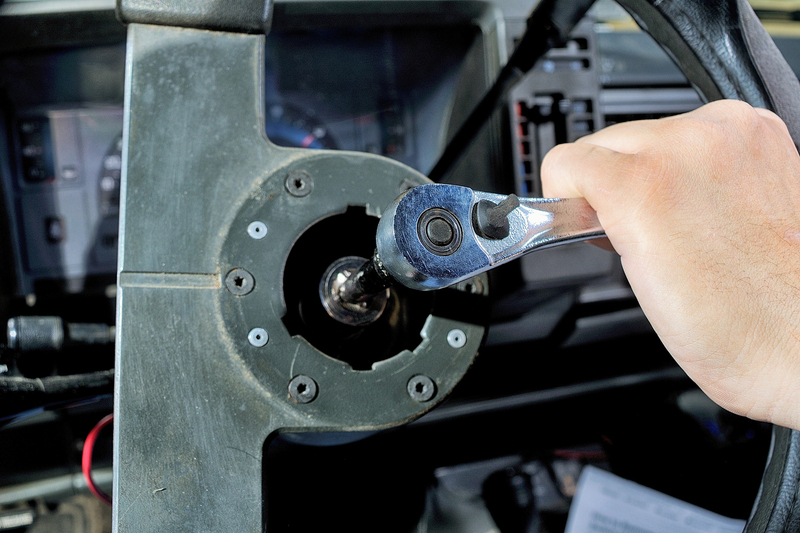 Remove the steering column trim panel located behind the steering wheel using the torx-head driver. Then unscrew the turn signal switch using the phillips-head screwdriver and allow the switch to hang from the steering column. 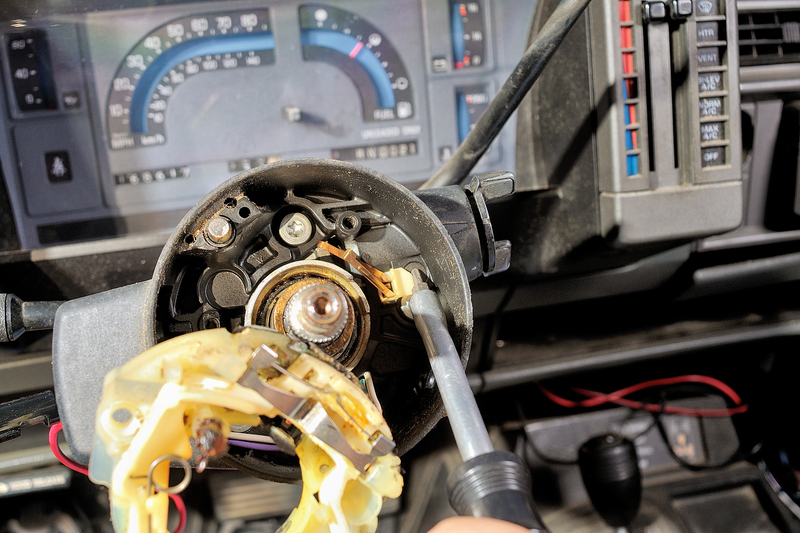 Remove the lock cylinder screw on the ignition switch using the phillips-head screwdriver. 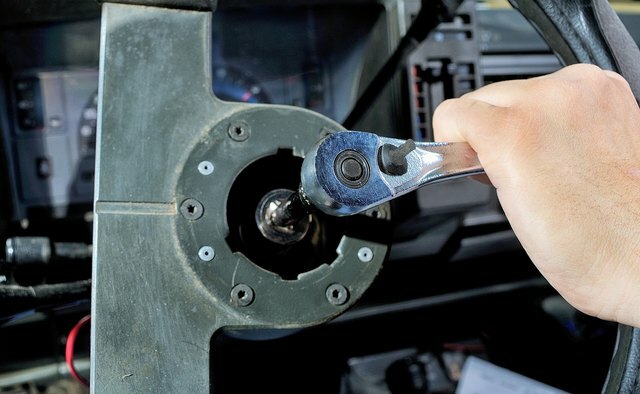 Then unbolt the steering column from the column using the 3/8-inch ratchet and socket. 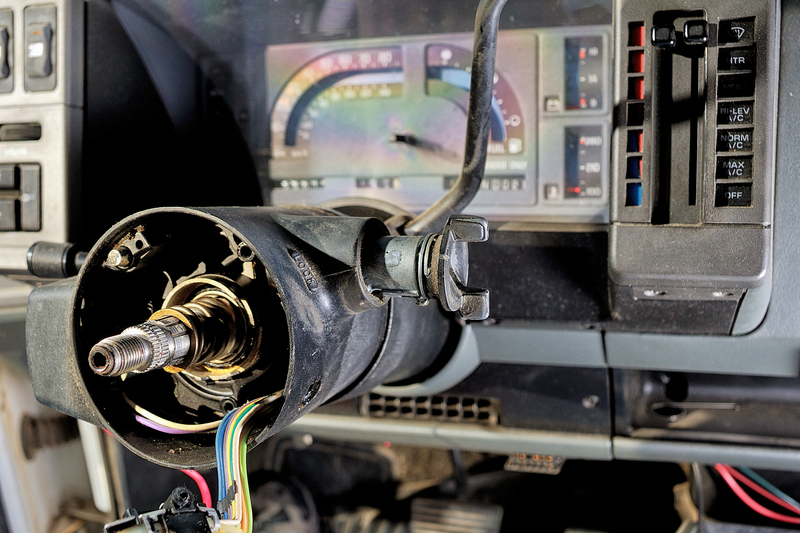 Remove the retainer switches that hold the ignition switch to the column using your hands, then remove the switch from the truck.